The most important point of discussion in this particular series of blogs is to explore the key capabilities in both SharePoint and also Office 365. This is mainly for the purpose of creating business solutions with a focus on the PowerApps. So, it will help you to build a PowerApps instead of listing functionalities. It is very important to build custom business apps. 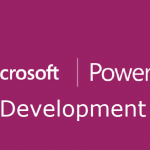 The skilled Microsoft PowerApps Developer is generally in high demand nowadays. 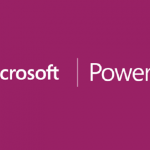 Many people have heard of the term Microsoft PowerApps, but among them hardly there are some people who know that what actually it is. It thus becomes very important to know what it mainly does and is it easy to use or not. Here is given both a simple as well as a nice explanation on the PowerApps. 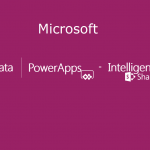 At its core, the PowerApps is mainly a Platform as a Service. 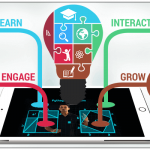 It is such a thing which generally allows you to the effective creation of the Mobile Apps. Now, these Mobile Apps can run easily on the Windows, iOS, Android (Modern Apps). It is also compatible with almost any other Internet browser. These PowerApps are also considered as a mobile app. The creation of the apps has been involved in the mobile app development for each and every operating system which they need to run on (one for Windows, one for Android and one for iOS). As a result, your development work is essentially tripled by this. Along with that, it is also involved in increasing the development resources and also tripling your support costs which are needed by you for the creation of the business apps. It becomes very easy for you to create all the PowerApps which run effectively through the PowerApp with PowerApps Mobile Apps. So, it takes care of the differences between the general operating systems. That is why it just allows you to run your apps. Across mobile platforms, it becomes much easier to use the mobile apps, and the PowerApps work like a container for doing this. Mainly, it is an important web version of PowerApps. Instead of a mobile app, it generally runs through any specific and modern web browser. Nice drag and drop user interface are usually provided by PowerApps. This mainly allows you to add different, media (video, images and camera controls for your phone) controls (i.e., choice field, a text field), screens and forms for the purpose of constructing a mobile app. It directly allows you to store data inside the app or connect to the external data sources. All that is to be done is to publish an app after creating it. Then, you need to share it with your organization. How Do I Make A Microsoft PowerApps? The making of a PowerApps can generally range from simple to complex. But, it is important to create the PowerApps Windows Modern Apps on a Windows 10 or Windows 8.1 device. The modern web browser can be effectively run through the help of a web designer. Initially, the PowerApps was designed for the purpose of using it as a Business Mobile Apps that means that it has an internal use. But, it should not be created to share with everyone in the world. This clearly indicates that these are not designed for consumer consumption. So, it is mostly due to technical limitations and also licensing model which can be shared with the external users. Do I Have PowerApps? Is It Tough To Both Create And Also Use Apps? 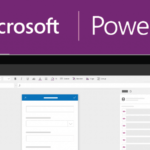 You have PowerApps in case you have generally an Office 365 Enterprise E1 or the above subscription. It does not always mean that every feature of PowerApps has been possessed by you. So, you need to check the licensing page for the PowerApps. It should be also determined whether it is easy to create it or not. You can easily opt for the simple PowerApps. The formulas of Microsoft PowerApps were mainly designed using the Excel formulas which allows the business users the ease to create the formulas for this particular logic.